IT WAS 19 years ago today when Leeds Rhinos rewrote the record books with a huge win over Huddersfield Giants at Headingley. It was Rhinos’ 13th game without defeat – which was their best run in Super League – and captain Iestyn Harris was the destroyer in chief. Harris was the most exciting individual talent in Super League at the time and he took Giants apart scoring four tries and 13 goals for a remarkable tally of 42 points. That was more than Huddersfield scored in any game of a miserable season when they managed only five wins and finished bottom of the table – behind Hull Sharks on for and against – having conceded 1,011 points in 30 matches. Harris’ 42 points in one game remains a Leeds club record. The Welsh international set new marks for most Super League points and goals in a match. At the time his 13 goals equalled Lewis Jones’ club record set against Blackpool Borough in 1957. Harris eclipsed that two years later when he kicked 17 in a 106-10 Challenge Cup thrashing of Swinton Lions. Rhinos have scored more than 86 points only three times, the Cup tie at Swinton, 102-0 against Coventry at Headingley in 1913 and a 90-0 home demolition of Barrow in 1990. Leeds ran in 15 tries on an evening which sent shockwaves through Super League. St Helens crushed Hull 74-16 two days later and the two routs sparked fears there wasn’t enough available talent to support 14 Super League clubs – at a time when the governing body had been considering increasing it to 16. 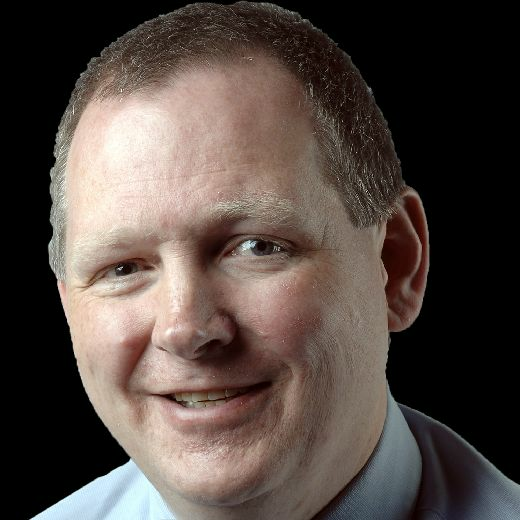 Malcolm Reilly, Giants’ former Leeds coach, described it as the most embarrassing game of his career and even Rhinos chief executive Gary Hetherington – a Super League Europe board member – admitted it was bad for the credibility of the competition. Paul Sterling scored a hat-trick of tries, Marcus St Hilaire bagged a brace and Ryan Sheridan, Martin Masella, Andy Speak, Marvin Golden, Anthony Farrell and Francis Cummins got the others. Andy Cheetham was Giants’ try scorer, Bobbie Goulding converting. Leeds Rhinos: St Hilaire, Rivett, Golden, Godden, Sterling, Harris, Sheridan, Masella, Speak, McDermott, Hay, Farrell, Glanville. Subs: Cummins, Wrench, Morley, Mathiou. Huddersfield Giants: Reilly, Arnold, Simpson, O’Loughlin, Cheetham, Moore, Goulding, Neill, Hudson, Fozzard, Richards, Berry, Boughton. Subs: Gleeson, Carlton, Byrne, King. Referee: Steve Presley. Attendance: 11,525. 2015: Salford Red Devils were thrashed 70-6 at Headingley three years ago tomorrow, with Zak Hardaker scoring two tries and nine goals. Ryan Hall and Carl Ablett both bagged a brace and other try scorers were Danny McGuire, Adam Cuthbertson, Kallum Watkins, Brett Delaney, Joel Moon, Jimmy Keinhorst and Josh Walters. 2010: Eight years ago today Kevin Sinfield’s drop goal proved the difference for Rhinos in a 21-20 home win over Huddersfield Giants. Ryan Hall, Danny McGuire and Chris Clarkson were Leeds’ try scorers and Sinfield added four goals. 2006: In baking hot conditions a full house of 11,016 saw Rhinos pipped 31-30 at Castleford Tigers on this day in 2006. Try scorers for Leeds were Danny McGuire (2), Scott Donald, Rob Burrow – who added five goals – and Shane Millard. 2000: Leeds won 34-26 at Salford City Reds 18 years ago today. 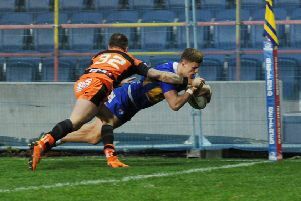 Francis Cummins crossed twice and other try scorers were Lee Jackson, Kevin Sinfield, Andy Hay and Iestyn Harris, who also kicked five goals.